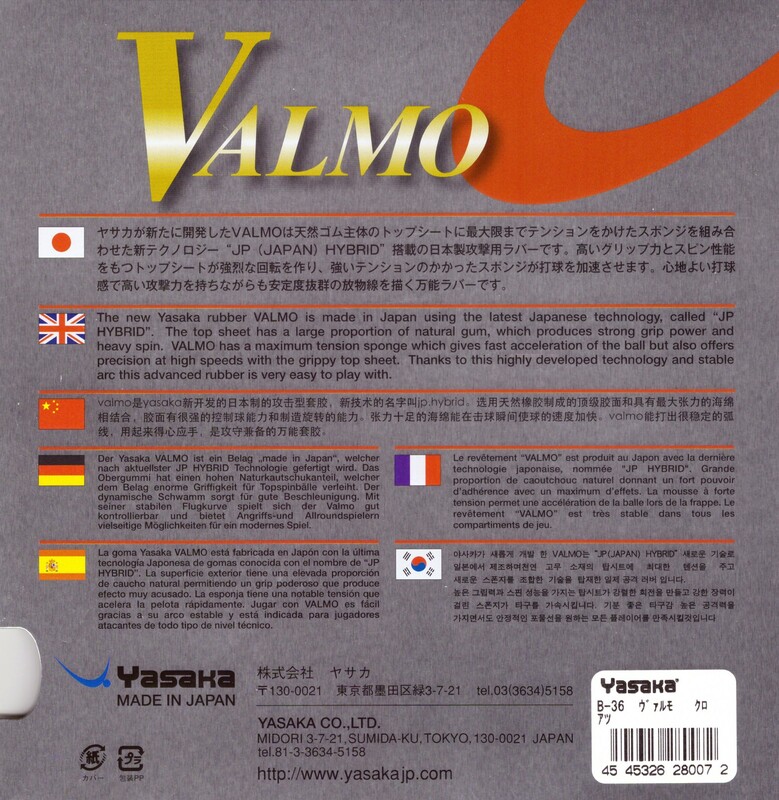 The new Yasaka Rubber Valmo is made in Japan using the latest Japanese technology called "JP Hybrid". The top sheet has a large proportion of natural gum, which produces strong grip power and heavy spin. 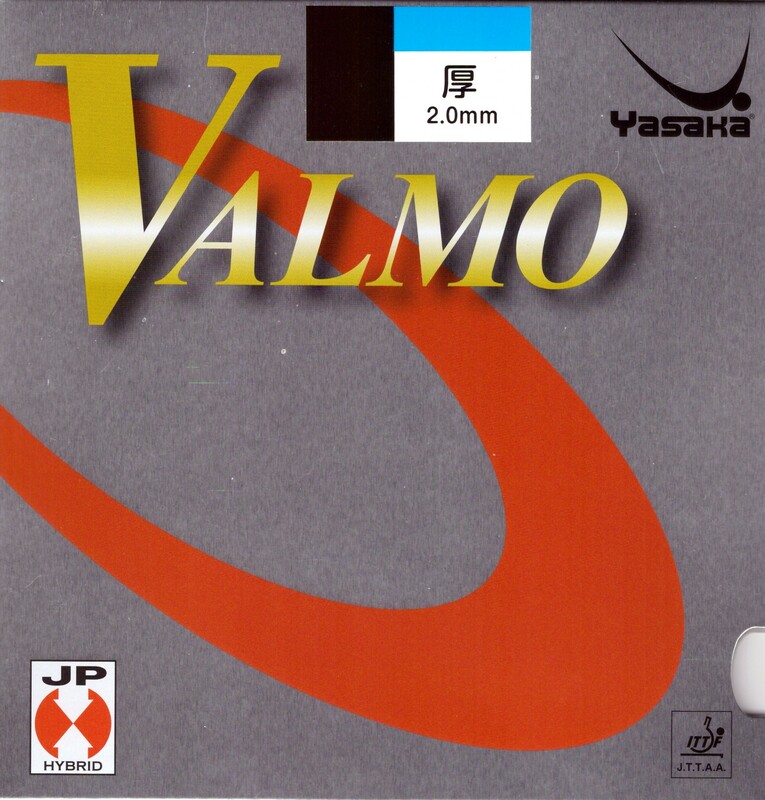 Valmo has a maximum tension sponge, which gives fast acceleration of the ball, but also offers precision at high speeds with the grippy top sheet. 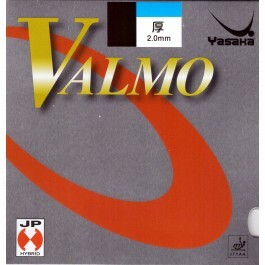 Thanks to this highly developed technology and stable arc this advanced rubber is very easy to play with. Nice rubber for controlled offensive play. I do miss that "kick" though, which I prefer for FH topspin. Decent rubber for my BH. Nice backhand rubber. Gd spin and control. This rubber impressed me right away. Using on BH, it increased my shot speed. I highly recommend. мах весит 67 г(46 вырезанная) все хорошо: и сцепление, и скорость, и контроль все есть, средне мягкая,очень хороша при короткой игре , когда мячу можно придать сильное нижнее вращение, которое сложно поднять. Топшит немного липкий и после, примерно 10 тренировок, стал матовым, хотя тянуть еще продолжает .